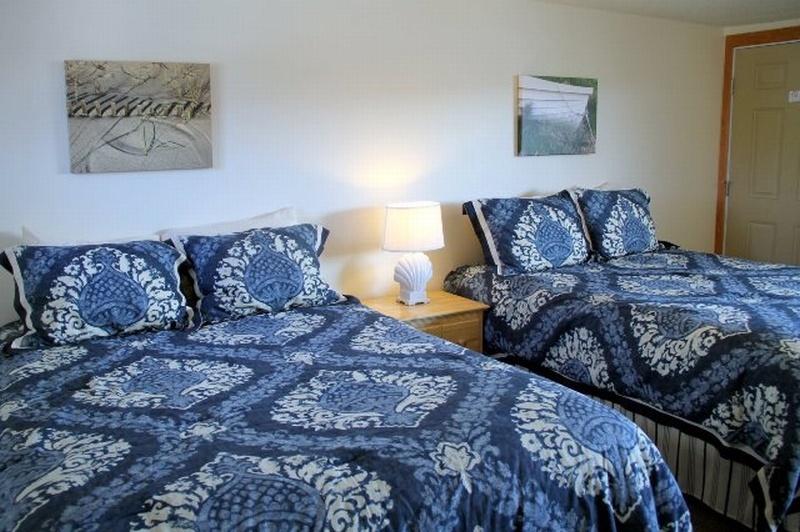 Our six upstairs Garden View motel rooms are located near the cafe and are only a short walk to our private beach and indoor pool complex. You'll enjoy views from your picture window of the beautifully landscaped grounds with graceful garden arbors and abundant flowers and a partial view of Cape Cod Bay. Next to our Garden View building and within view of the rooms, is an outdoor patio area with tables, chairs, umbrellas, a goldfish and koi pond, an optically lite water feature, and free wi-fi! The cafe serves breakfast on the patio until Noon and on Friday's they serve dinner, so after that time and into the evening this patio space will be available for all guests to use for relaxing, reading, meeting friends, or just taking a break from the beach and indoor pool. All rooms are non-smoking. Please visit our Rates & Availability Page for more information.